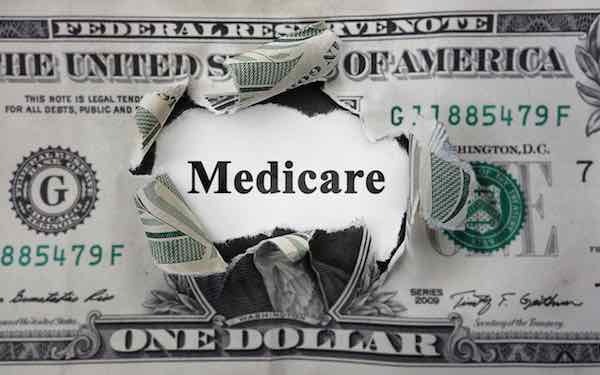 Not that long ago, I wrote an article about IRMA, income related monthly adjustments, which increase the Medicare Part B premium for higher income Medicare beneficiaries. Though the new Medicare Part B premiums will not be set until at least October, the levels at which higher premiums kick in have been lowered in all but the first two tiers. This change was made as part of the “Medicare Access and CHIP Reauthorization Act”, which eliminated the annual battle over reimbursements made to physicians. Ten years ago, the legislation that brought us the Medicare drug benefit provided that, to pay for said benefit, reimbursements to physicians would be lowered. Physician’s groups fought against this change and for many years we had an annual “doc fix” that exempted physicians from the lowered reimbursements. Well, the money to pay for the drug benefit had to come from somewhere, so higher income Medicare beneficiaries were put on the hook. The following chart shows the new thresholds. This increase in premiums will add another layer of complexity to the decision that many higher income individuals will face when it’s time to make the choice on electing Part B. Why Would I Have to Pay More Than $134 in Medicare Part B Premiums?